Before you start taking my advice or anyone’s advice, for that matter — look at their credentials. Or, in the case of musical artists purporting to have honed their craft, listen to their music. If you don’t think it sounds sonically interesting, then you shouldn’t be implementing their production strategies. With that being said: my name is Restless Modern, I’m a producer/singer/songwriter. My debut single, an electronic-leaning pop record with LA vocalist MOONZz, currently has over 5.5 million streams on Spotify. My most recent single, “I’m Okay”, was released last Friday (November 10th, 2017). It was produced, written and recorded by yours truly (in that order), and is the subject of this track breakdown. Take a listen below and keep it open for reference. 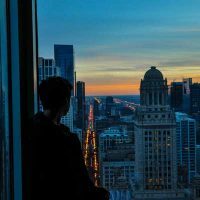 If you want to know exactly how I made the track and get a look at some of my best production tips, read on. I do all of my production work within Ableton, but I’m going to try and keep everything DAW-independent so you can understand what’s happening regardless of your setup. I’ve got everything filtered into different groups: Drums, Mids, Vocals, FX, Hats & Crashes and Sub. This is built into the template I start out with every time I begin a new track. Before we go into the different song sections, I want to go through any basic group processing that I’ve done on each of the separate categories of sounds. Drums: Nothing on the group processing here. Sometimes I’ll put some kind of compression on the Drums group, but didn’t feel it was necessary for this track. Mids: [pictured above] Just a simple high-pass filter that cuts out some of the low subs that I don’t want in my Mids group and a couple of sidechain compressors. You’ll see one of these is going to “Sidechain”, which is a white noise trigger and “dropsidechain,” which is a different trigger and is only present during the drop section of the track. Notice the threshold is far lower on the latter compressor; I wanted more of an intense effect during the climax. Vocals, FX, Hats & Crashes: The two sidechain compressors present on the Mids group have been copied over (with some slight modifications) to these other groups. I find this gives the song a cohesive sound [note that the sidechain on the Vocals and Hats & Crashes groups gets turned down quite a bit]. Generally, like to avoid weird sidechaining on lead vocal elements. Sub: Similar to the Mids group, the Sub group has a simple EQ and two sidechain compressors. The EQ here is just a lowpass at around 90 to 100Hz to keep any errant frequencies away from the Kick and lower Mids elements. Master: I always work with two EQs on the Master out. One Mid/Side EQ cutting the Sides out around 95Hz, and one EQ cutting all frequencies below 38 Hz. A lot of energy on the sides under 100Hz is just mud, and you can create headspace by clearing out some subsonic frequencies. I’m going to go through the track by its sections and break everything down into the groups described above so that you can see how everything fits together. Things are pretty simple here. We’ve got a couple of delayed percussion samples, two kicks, a snare/clap and a tom fill. The kicks are pretty standard here. The first one that comes in has a lowpass filter on top of it for a “heartbeat” kind of effect, and the second one just has a bit of EQ for sonic tweaking. The snare is also relatively standard. It’s comprised of a clap and a thuddy snare sample run through a highpass filter and lightly compressed. One of the interesting things about the tom fill is the Transient Shaper I have on top of it. Without this, the toms have way too much tail end/release and don’t hit nearly as hard. After running through the attack boost and release cut, they are heavily compressed. In general, remember to keep a long attack time and short release time when you’re compressing elements that you want to be punchy. There are a few different elements playing together here, but I want to focus on the main drivers of the section: the bass, the arp-like synth and the backing FX. In the beginning of the track, there isn’t much of anything supporting the vocal piece other than the underlying bass synth. This is something simple that I put together in u-he’s Diva synth using two oscillators: one modified square and one modified saw. The whole thing has a bit of filter cutoff modulation and decay on the amp envelope to give a “fading away” effect. The lighter synth in the first verse was also put together in u-he’s Diva. The portamento is turned up fairly high on the synth, which has a quick decay and gives the subtle pitch-envelope effect that you can hear on the front end of the sound. That sound is then running through an EQ and a “Simple Delay,” which I’m using here for the Haas Effect. Delay plugin pictured above so you can see what I mean. In order to create an ambient feel of spatial presence in the mix here, I’ve got some higher FX sounds running in the back of the verse at certain points. The general idea here is to find something interesting, put a highpass on it so things don’t get muddy, and ram it through a reverb at 100% wet. You can also send it to a reverb buss, but I was looking for a completely covered sound in this instance. There are two tracks in this section: the lead vocal and the backing adlib vocal. My chain is not always this long, but these are the elements that I usually pull in if I feel that they’re necessary. Some of my vocals also have light saturation and distortion effects on them to fill out the frequency range a bit more. This particular lead vocal has some formant shifting on it, which creates a stylistic effect that is pleasing to my ear (though it’s not for everyone and doesn’t work on all vocal lines). In general, for EQ on vocals, I usually end up cutting frequencies in the low range as well as some in the 400-600Hz range. This is entirely dependent on your backing track and on the sound of your vocalist. For compression, try to apply it tastefully and don’t over-do it. How much you will want to/have to do here also depends on the integrity of the vocal recording. All recordings in “I’m Okay” were done on the Shure SM7B in a poorly treated non-studio room. There’s a falsetto adlib layer in the back of this section which repeats and gets louder leading up to the tom fill. 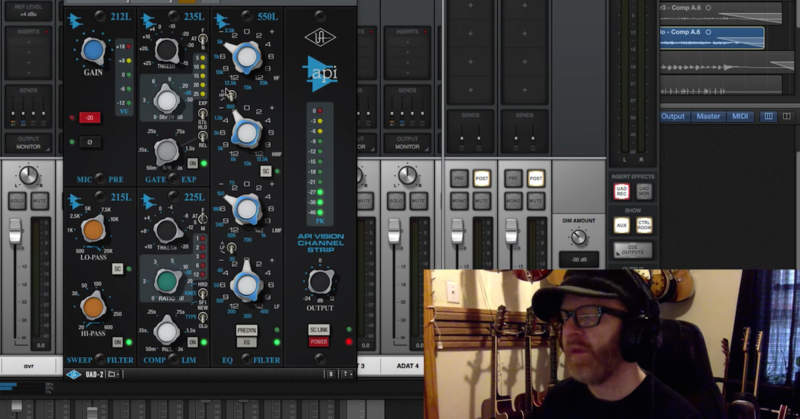 Simple stuff: lowpass filter opening up on a vocal track with heavy reverb. Nothing super notable going on here. 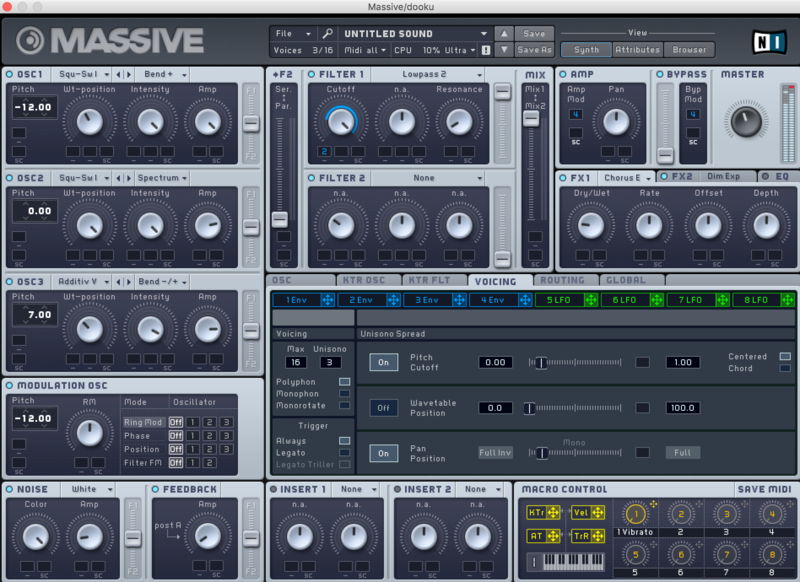 Just a couple claps with heavy reverb that serve as white noise hits, and two rising white noise sounds built in Serum. Again, nothing too crazy here. One hat and one crash, both of which were just slightly EQ’d samples from Splice. Sometimes I’ll copy over the synth VST from the bass that I’m looking to mirror and change it to a one-oscillator sine wave, keeping the other automation (editing as necessary — i.e. sub should be monophonic, not have any internal flangers, change the cutoff filter, etc.). Other times, I’ll eliminate my Sub group completely and use the naturally low frequencies of any bass synth (meaning that I don’t cut them from the Mids group or bass synth track). Generally, I like to break them out and have a little bit more control over each element. One other trick I’ll mention here — sometimes putting a quick pitch drop at the beginning of your sub hit using envelope modulation can help you catch some more low frequencies and get a harder hitting, fuller sounding sub. Light saturation can help sometimes as well. These are the sections starting with “tell me the truth” and moving all the way up to the first drop phrase. Again, I’ll go through and break out the important elements by group. The drums that come in first on the pre-chorus are actually just a recording of me hitting a table with my hands. Moral of the story: when you can’t find a sample that fits, just make your own. I also find that using live instrumentation adds a bit of “imperfection” to the track that often turns out endearing and interesting. The original recording was significantly EQ’d, saturated, run through heavy compression and shaped with a transient shaper. There are a couple of different drum pieces that come into the build. There’s an underlying kick layer, a clap layer and a backing percussion layer that complements the clap layer. As a guideline, you don’t want to have a lot of low-frequency energy happening around the end of your buildup — this way you can create a bigger contrast when you bring all of the elements back in at the drop. The lows get filtered out of the kick as the build progresses. The clap filters out, and a bigger/heavier snare is filtered in. Finally, there are a couple of distorted, compressed, heavily-reverbed tom hits that bring in the drop section. I wanted to make these hits feel powerful, so I kept some of the low energy, but the sub frequencies are tamed with an EQ. Things start to get more complicated with the Mids group here, so I’m really just going to zero in on the main elements. There are string chords backing both the pre-chorus and build sections. These came straight out of Kontakt and I did some basic EQ and Compression before flattening them (i.e. converting the MIDI to audio). I then time-stretched and manipulated each chord individually to create a very strange and uneven texture to the chords. This, along with the bass layer (a very similar layer to the one heard in the verses), drives the early melodic elements of the track. Also notable is a backing synth (made in Massive) which adds a level of ambience and melodic texture over the string chords. The lowpass filter on this track opens up over time, allowing more of the high frequencies to come through and simultaneously making the element louder within the mix. Much of the rhythm in the build is created and emphasized by a 4-on-the-floor pluck synth pattern in the Mids. More important than the sound itself is the groove that this constant beat builds when combined with the live drum layer. Also note that the pluck is placed in the left of the stereo field, which felt to me like an interesting and fitting choice for the mix. I find that a lot of the time you get a stronger stereo width in your track when you work with discrete panning (i.e. placing things to the left or to the right) rather than using stereo imaging effects on center-aligned sounds. Everything in a mix needs to be in its own place. If you can do that, you will make much better mixes than I can. In terms of processing, things are pretty similar throughout the track — so I won’t go into that in detail again here. In terms of layering, there’s a little bit more going on here than in the verse. Under the pre-chorus, there is a double sung one octave lower than the lead vocal. This serves to give it a little bit more body and oomph than if the lead vocal were alone. Moving into the build, and the repetition of “I’m Okay” lyrically, this lower layer cuts out. It’s replaced by a couple of melodic adlibs which open up and become louder as the build continues. These serve the purpose of adding some melodic complexity to the track, but they also serve an important purpose in terms of building energy before the drop. In any genre of music where the “climax” is a big deal (electronic, pop/radio, rock/indie, many others), how you set that up musically with your production is going to greatly influence the impact of the chorus. So, yes, you can make the chorus more powerful without actually changing anything within your chorus. Interestingly enough, I usually spend more time on the build than anything else in the track. The most notable element here is probably the pitch build into the drop. Generally, I like to use one noise/pitch-independent riser sound and one pitch-dependent riser sound. I then piece these together, EQing so that they don’t have too much overlap and potentially moving one to the left, right, or to a side in the stereo space. For low-frequency impacts, I either modify existing impact samples that I find online or create long reverb tails on heavy-sounding kick, snare or toms. Watch for mud here. No tracks in the Hats & Crashes group during this section. All of the high frequency elements are being filled in by the snares/claps and the FX risers, so I didn’t feel the need for anything here. I also figured that the lack of extremely high frequencies in the build might make the drop sound more powerful (when these frequencies are brought in). The pre-chorus has a sub, but I have a filter that fades out the entire frequency spectrum of the sub over time in the build. By the end of the build, I don’t like to have any sub frequencies present so I can bring them in at the drop and make an impact. The drop is probably the most interesting part of the project for most of you. I’ll go through the elements that you may not fully understand the methods for, as well as looking at how the drop is pieced together in the bigger picture. 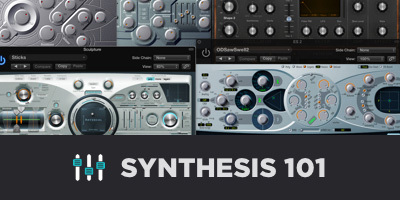 Drums → Basslines → Distorted Vocal → Embellishments, FX, Hats, etc. Don’t let this fool you! I made and re-made the drop for “I’m Okay” seven or eight times over a period of two weeks. One of the biggest things I learned here is that you can’t be afraid to lose your progress if it doesn’t sound good. Tear it apart and try to put something new together, or you’ll just end up wasting hours with small adjustments that don’t alter the quality of the track. There are ~25 tracks that come in and out during the drop, so I think you’ll get more out of the breakdown if I approach the drop a bit differently than I have approached the other sections here. One of the biggest things for the drop in “I’m Okay” is the interplay of melody and rhythm. This is a lot going on at the same time, and to be honest, I wouldn’t recommend that you have so many elements fighting for power at once in your tracks. It makes the song sonically muddier and creates an entirely hellish mixdown environment. The way that I managed to get these sounds sitting together somewhat effectively, in my opinion, is a matter of musicality as well as a matter of production choices. The bassline melody is mirrored almost perfectly by the left-panned melancholy synth, but at a different rhythm. This helps to create some level of synergy. The arp-like high-pitched synth is playing a melody that is a close derivative of that of the main vocal chops. Again, this helps to create some level of synergy. Of course, from a production standpoint, everything is EQ’d so that it sits on top of the bass, which is the main element behind the distorted vocals, without having it sound too thin. I did a few things to vary and escalate the energy throughout the drop — without these, it would sound incredibly stale and not very dynamic. The first would be putting a lowpass filter on the bass sound and then opening it up in the second phrase of the drop. Introducing high frequencies into the mix is generally a good way to up the energy levels of a track. The second would be introducing another fast-paced hi-hat into the mix in the second phrase of the drop. Again, high frequencies up the energy level and quick hi-hats can give the track a little bit of pace that would be missing otherwise. The third would be the most obvious — pulling the distorted vocals up an octave in the second phrase. Keeping them at the same pitch was an idea that I toyed with for a while, but ultimately the change was needed in order to make things more interesting. You’ll see this technique of upping the octave within a drop being used extremely frequently within popular electronic music. Here I’ll quickly run through how I made some of the more notable sounds in the drop. I’ll emphasize, however, that the sound itself isn’t what matters — the only thing that matters is how that sound feels within the context of the track itself. No one is going to be listening to your sounds on solo, so don’t mix them that way. These are vocal chops taken from the pre-chorus and from other takes that I had done on the track. The dry vocal chops were then run through a couple of saturators and guitar amps in order to get the over-the-top distortion. After each guitar amp, I had to be sure that appropriate frequencies were cut. The hardest thing here is not getting the distorted sound, it’s being able to EQ the output well enough to keep it crunchy without it having harsh resonances. This one was a relatively simple chain of effects. I figured I would post the chain and Massive patch images here in case someone was interested (pictured below). For reference, the Pro Q 2 is an EQ and the MB is a multiband compressor. Multiband compressors can be helpful for taming unwanted frequency spikes and keeping basses sounding more sonically stable. If you push the compressors, you can also get a bit of a squashing effect that can fatten up the bass a bit. Much of the second half of the track is built the same as the first half — with some variations in order to keep things a little bit different. This is simply the guitar plucks used in the latter phrasing of the drop with a series of Reverb, Auto-Pan and Chorus effects placed on top. This is my favorite sound in “I’m Okay.” The portamento is really what makes the bass here — in combination with quick note rises in the MIDI. This bass is was made using u-he Diva and running the output through several EQs, overdrives and multiband compressors. Multiband compressors are being used to tame unwanted side effects of distorting the bass and keep it level. I don’t feel that I’m in a position to speak much on mastering techniques. “I’m Okay” was mastered by an audio engineer. For me, I feel much better after having a second set of ears take a look at the overall frequency balance and stereo spread. 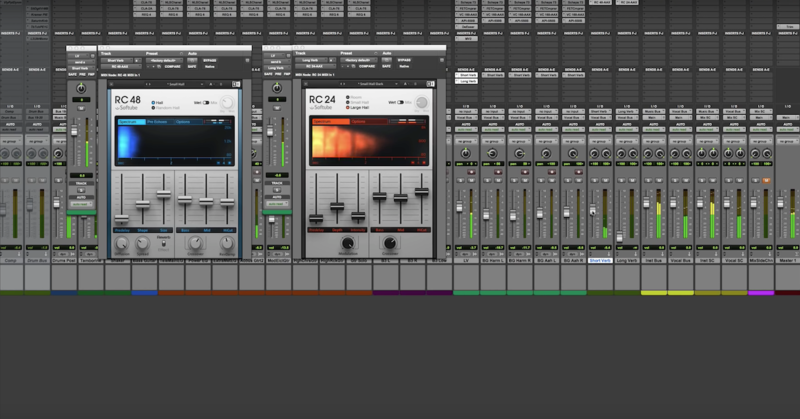 When I master my own material, I do so with iZotope Ozone (which can do solid work). This is more about increasing the range of sonic perspective on the track that comes into play on the final work. I hope that you got a couple of useful tidbits out of what I broke down for you within “I’m Okay.” Keep in mind that this is just what I have done for one specific track. By no means am I the be-all-end-all, and by no means is “I’m Okay” the perfect example of production. If you have any questions about the track specifically or about production in general, drop a comment. I’ll try to monitor things here for a week or so after the post goes live so that I can address anything that comes up. If you like “I’m Okay,” I would really appreciate you supporting in any way you see fit. Save and playlist it on Spotify, show it to your mom — whatever works. Most importantly — never give up on your craft. It’s taken me years of non-stop work to make something that I’m proud of and want to stand behind. Production is incredibly hard to master!